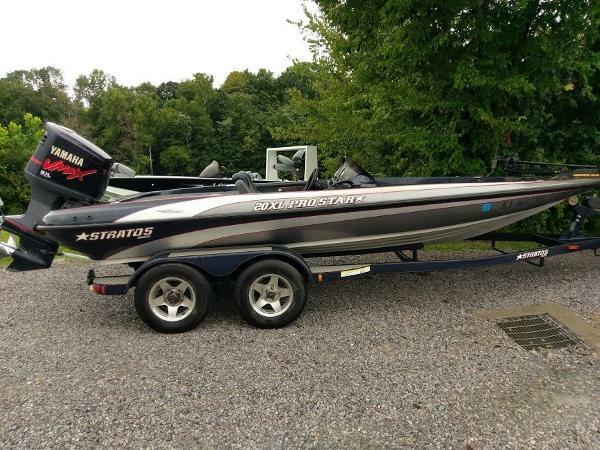 2002 Stratos 20XL, Recent trade in 2002 Stratos with 225HP Mercury! Lots of storage, 80 Minnkota Fortrex trolling motor, 2 Humminbird graphs. Great value for the boat! 2003 Stratos 20 XL 2003 STRATOS 20 XL Pro Star/ 2003 Yamaha 225 EFI OX 66. Great running boat. recent service here at the dealership. 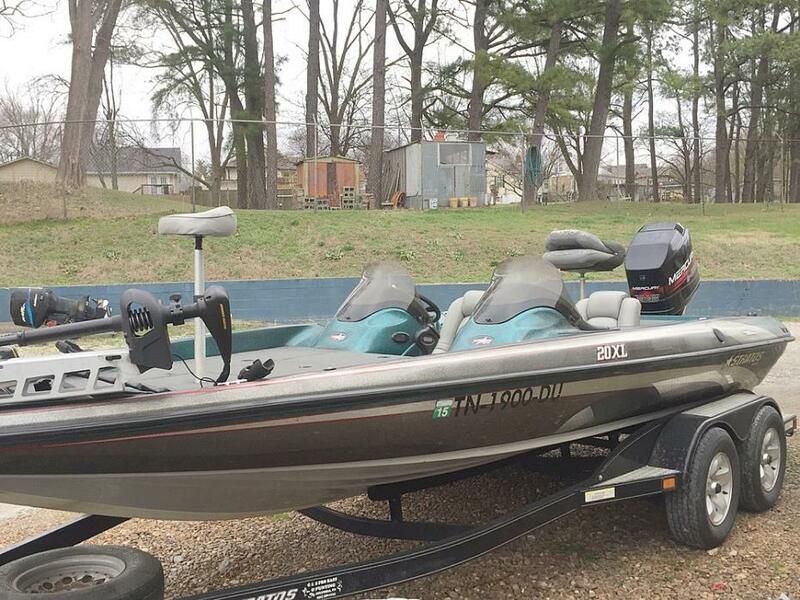 Boat has Hydraulic steering, Jack Plate, Hot Foot, Flush Mount Engine Controls, pro Air, 36 Volt Trolling Motor, 2 Lowrance HDS 8 units with Side Imaging,Tandem trailer. Make someone a great rig. $13,900.00 OBO. Call or PM me anytime 859-748-6180 or evenings 859-509-6660 The Stratos 20 XL is a perfect fit for both the weekend angler and the tournament pro. This 20 footer?s deep-V hull and extra-wide beam of 92 inches makes it easy for the 20 XL to handle rough water with ease, and cross the lake in a blur with its maximum rating of 225 horses. The 20 XL features a spacious tackle compartment, a rod ramp adjacent to the passenger seat, and an easily accessible built-in cooler. Dual aerated livewells and a Dual-Pro Battery charging system round out the impressive list of standard features.